We’re proud to announce that Eli Boschetto, director or PCT: Oregon, and author of Hiking the Pacific Crest Trail: Oregon, has been selected as a member of the 2018 Granite Gear Grounds Keepers team. Eli will be joining 24 fellow hikers from across the US to help clean up our backcountry trails this summer. 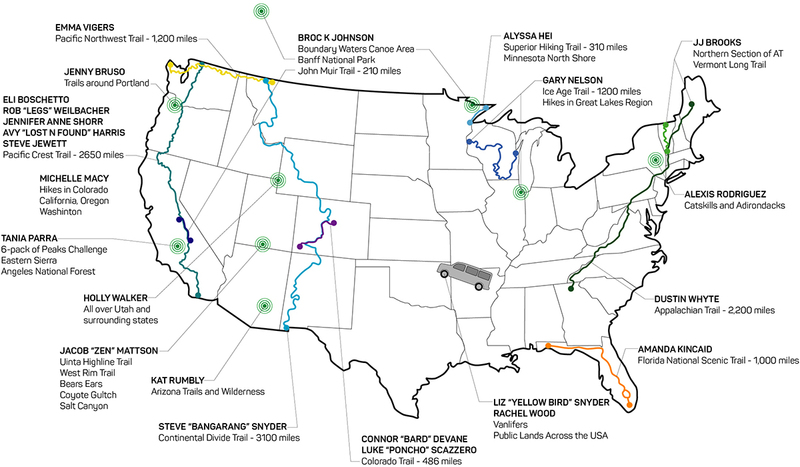 Eli’s area of focus will be portions of the Pacific Crest Trail in Oregon, as well as trails on and around Mt. Hood. Look for him out there this summer. When trash is in our wild places, it’s everyone’s responsibility! 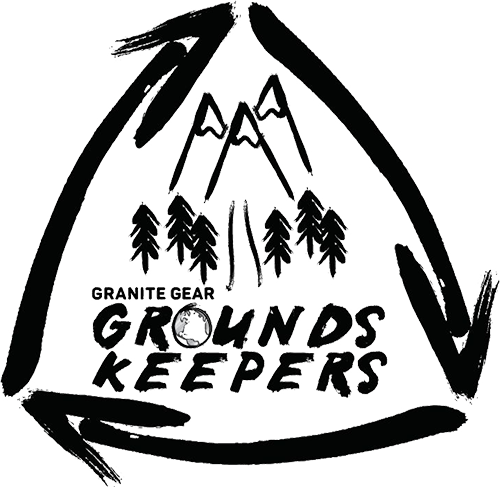 That’s the motto of Granite Gear’s Grounds Keepers program. After its successful inaugural year, Granite Gear is thrilled to launch the 2018 Grounds Keepers Program with new supporting sponsor Altra Running. The 2018 team includes 25 experienced hikers with diverse backgrounds who are committed to cleaning up a minimum of 7,500 miles of trails and parks around the country in 2018. Out of hundreds of applicants, the following team members were chosen based on their hiking experience, their passion for taking care of the planet and the trails and parks they will be cleaning. With the collective goal to remove as much trash as possible, team members include: Jenny Bruso of Unlikely Hikers, Eli Boschetto of PCT: Oregon, Steve Jewett of Clean Trails, Jennifer Anne Shorr of Section Surfer, JJ Brooks, Connor “Bard” Devane, Avy “Lost N’ Found” Harris, Alyssa Hei, Brock Johnson, Amanda Kincaid, Michelle Macy, Jacob “Zen” Mattson, Gary Nelson, Tania Parra, Kat Rumbly, Alexis Rodriguez, Luke “Poncho” Scazzero, Steven “Bangarang” Snyder, Liz “Yellow Bird” Snyder, Emma Vigers, Holly Walker, Rob “Legs” Weilbacher, Dustin Whyte, Rachel Wood, and another hiker who cannot be announced until the end of March. Our inspiration for the Grounds Keepers program came from our athletes, the Packing It Out team, and they were the ones who connected us with Altra Running – so that feels like a very natural fit. With Altra’s sponsorship, we’ll be able to better further support these 25 Grounds Keepers as they do their best to clean up trails and parks and inspire others to do the same. To keep up with the Grounds Keepers, and learn about the 2018 Grounds Keeper team, visit The Grounds Keepers and follow along on Instagram at @TheGroundsKeepers. Granite Gear and Altra Running will also be sharing content about the Grounds Keepers often. For 32 years, Granite Gear has brought cutting-edge products to the outdoor marketplace. Their award-winning backpacks, adventure travel gear, extensive variety of storage sacks, lifestyle accessories, and canoe gear offer excellence in design and construction. Granite Gear’s desire is for all outdoor enthusiasts and travelers to experience the incredible durability and comfort of their products. Visit Granite Gear for more information. While working at a running store, Altra founder Golden Harper was frustrated that modern running shoe technology caused poor running form, but had not decreased running injuries. His passion to create a shoe that followed the science produced Altra’s distinctive FootShape toe box and Zero Drop platform. Since its founding in 2011, Altra has won multiple Editor’s Choice awards and has distribution in more than 60 countries. Visit Altra Running for more information. Main Photo: Eli Boschetto, author of Hiking the Pacific Crest Trail: Oregon, in Yosemite National Park.